It’s either a joyous day filled with flowers, chocolates and cards or it’s just another reminder that you are, in fact, totally and utterly 100 percent single. Yes you guessed it, its dooms day, National Single Awareness Day, oh sorry, I mean Valentine’s Day. Valentine’s Day is the celebration of love, and while some bask in gifts, fluffy teddy bears and love poems, others feel the burning sting of cupid’s arrow. Let’s face it, we love to hate February 14th. To all the single ladies and gentlemen out there, we’ve got your back with some “Anti- Valentine’s Day” apps and for those of you with an ol’ ball and chain, we’ve got you covered too. Its 5:00 p.m. on Valentine’s Day and amongst the hustle and bustle of picking up flowers and sweets, you forgot to make reservations for dinner. Before you find yourself in the forbidden dog house for the rest of your human existence (that’s if you make it till Feb 15th), get OpenTable. 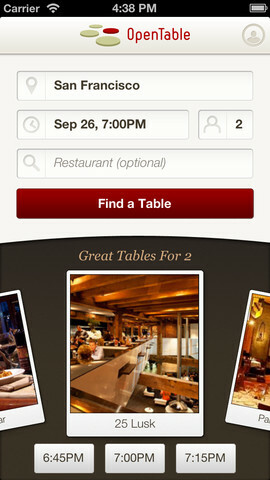 With OpenTable, users can book a reservation at more than 20,000 restaurants in the U.S. and Canada. All you have to do is choose a date, time and party size at your preferred restaurant and choose the table you want, crises averted! Users can search through local restaurants, see available tables in real-time and browse through menus, restaurants ratings and reviews. Users can even book a table ahead of time and add the reservation to their personal calendar. Even better, users can invite friends through the app. Dining out of town or travelling? With OpenTable, users can make out-of-town reservations or bookmark their favorite dining spots across the U.S. Getting dumped or shunned to the guest bedroom on Valentine’s Day is totally depressing, so get OpenTable and book your five-star dining experience. While we don’t condone or suggest picking up a heavy drinking habit, nothing goes better with the Valentine Day’s blues than a little salt and tequila, in moderation of course. This Valentine’s Day, get together with all of your single friends and throw an anti-Valentine’s day bash with help from Mixology. Like the saying goes, misery loves company… especially on Valentine’s Day. 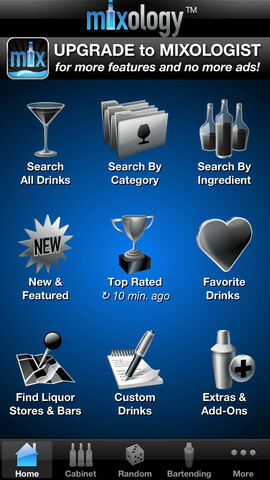 This virtual bartending app let users browse and search through over 8,000 drink recipes and over 1,000 ingredients. In the mood for something particular? Search for tasty drink recipes by category like cocktails, martinis, shooters, jello shots, hot drinks, punches or non-alcoholic. Or users can take their chances with the “random” tab, which uses a slot-machine interface to find random drink recipes based on liquor, mixers or glassware. Before you make a trip to the liquor store, use the “liquor cabinet” tab and enter all of the liquor and mixers you already have, then search for delicious drink options, or use the bar/liquor locator tab to find nearby liquor stores using your phones GPS feature. With Mixology, users can share recipes with friends through e-mail, Twitter, or Facebook and discover the “top-rated” recipes recommend by other users. Instead of staining your pillow with tear soaked mascara, get Mixology and learn how to be the envy of all party-goers at your next event. Ben and Jerry do not count as dates on Valentine’s Day. Instead of taking this delicious duo to the movies in your living room, step away from ice cream, grab your keys and a real, preferably single, friend and go to the movies. With Fandango Movies, users can browse through movies using the search function narrowing down your options to “In Theaters” or “Coming Soon.” Can’t choose between the new chick-flick or the new slasher film? Check out the apps “Spotlight” section to see the most popular tickets in town. Users can also view trailers, clips, exclusive interviews and cast photos within the app. 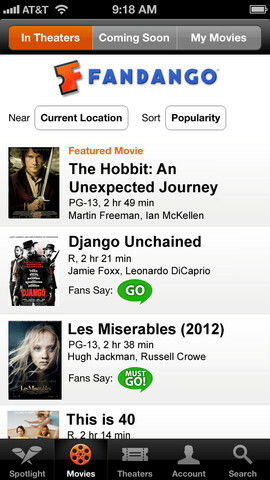 Once you’ve decided what film you want to see, find the closest theater near you using the apps iOS feature. Display directions through user-friendly maps or lists. Even more, users can buy tickets easily with the apps secure purchasing feature. Once the ticket is purchased, users can have their mobile ticket scanned at the theater, avoiding long lines and pesky waiting times. This Valentine’s Day escape the chic-flick love marathon on TV with help from Fandango. The only thing we suggest is not attending the opening night of Nicholas Sparks’ “Safe Haven,” that would just be torture. 1-800-Flowers is cupid’s right hand man. Having perfected the art of saying “I love you,” 1-800 –Flowers is your one stop shop this Valentine’s Day. Now that you’ve found the perfect restaurant location and reserved your table ahead of time, why not impress your special someone even more with a beautiful bouquet of flowers. 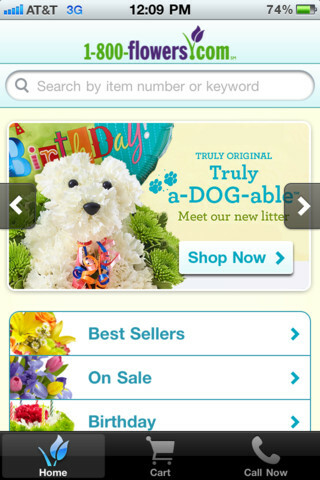 With the 1800Flowers app, users can browse easily through hundreds of gifts for any occasion including birthdays, anniversaries, mother’s day, Easter and more. Can’t decide? Browse through the apps “best sellers” tab to see what’s popular. Place last minute orders with same day delivery right from your phone with one click, anywhere, anytime. The app’s simple checkout process ensures a secure payment process and the “call now” option will direct you to a 1-800-Flowers employee if needed. With this life-saving app, you will never forget an anniversary or another Valentine’s Day again. Happy Shopping! While you can try to avoid February 14th like the plague, your efforts will be surely crushed. Whether it’s your co-worker receiving a monstrous flower bouquet or Facebook flooding with “I love my boyfriend/girlfriend” statues, it’s time to embrace your state of singleness with a little help of course. 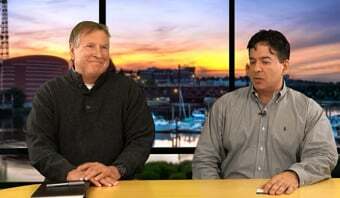 Be sure to tune into next week’s Apps on Tap!